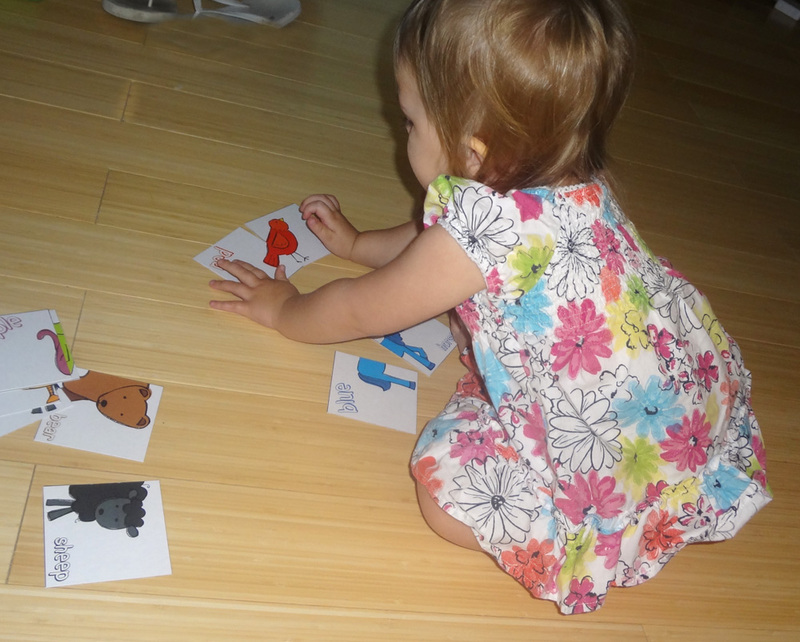 Print the Brown Bear color cards from 1+1+1=1. Cut apart. Have children match the front half of each animal with the back half of the animal. You could also use as a memory game for older children. Identify the animal and color with your child. 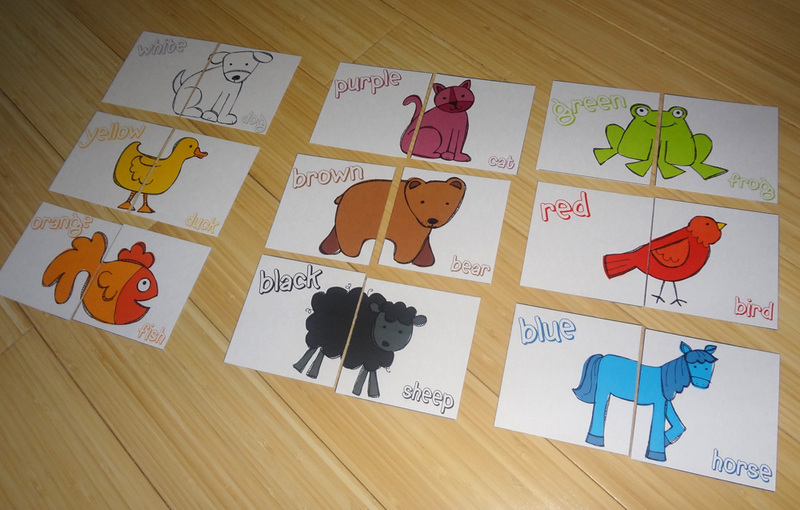 These cards are based on the book, Brown Bear, Brown Bear What Do You See by Eric Carle. 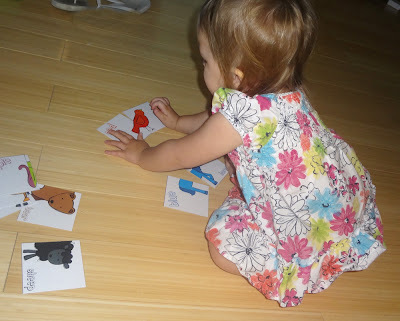 Jillian, almost age 2, loves the Brown Bear color puzzle, as she is currently learning her colors and likes to identify the animals and what sounds they make.